In its effort to make the deal between itself and Alltel as sweet as possible to the Federal Communications Commission (FCC), the company announced its intentions to divest 15 more markets, bringing the total divestiture to 100 markets. Verizon Wireless stated in a letter that it is "voluntarily committing to divest one of the overlapping properties in each of the 15 markets, together with the spectrum, customers and other assets used by that property." The deal now goes into "final judgment" with the Department of Defense, and will be considered along with the original 85 markets that were targeted for divestiture. I can't wait til it's all finalized. I wonder if VZW will adopt the 'My Circle' deal. Not that VZW needs it... It's just a cool concept. will not happen. it's the 'My Circle' plan that led to the downfall of alltel. I agree, Verizon still is the top cellular carrier. And advancing is only going to make them better, but where they need work is in the phone department. They must have the weakest selection of phones........... well other than Alltel. The My Circle plan, while convenient for the customer, was no way convenient for alltel. So many people used it that almost no one was being charged for minutes. It was a huge mishap and alltel ended up in debt and the best way to get out of it is to merge with VZW. I'm not sure if thats exactly how it went down, but something along the lines of that. My Circle lost alltel money, alltel gathered loads of debt, and the best way for the customers and employees to keep everything relatively smooth is if verizon buys out alltel. Well thanks for you concept! Goodness whats with the name calling? This is true. If you happened to look at what stock prices were before the merger, they were considerably higher than that of Verizon stock prices. Also so you are aware, ATT is ranked the number one cellular company in the US in terms of customer base, so the would make Verizon NOT the top carrier as said in the above post. Actually Alltel stock is worth nowhere near VZW stock, dont know where you looked, but it has never been anywhere near VZW. ATT is only the number one company in terms of totals customers because they included go phone sales in there customer base. VZW does not include its prepay options. So technically they show the largest but contracted customers goes to VZW, and will grow even large with the acquisition of ALLtel, yes it is an acquisition, not a merger. RCC was a merger, Alltel is not. Ok for you that said Alltels stock is nowhere near VZW then since you know so much. When Alltel was purchased by the private equity firm over a yr ago what was the price at which they were purchased? Oh wait you dont know they were purchased at $72.50 a share ok so please explain to me when VZW was ever worth that as a company. it sure would be a great way to stay the leader in the industry. I think verizon is a horrible celullar company and ever since ATT combined with TMOBILE they came on top its because the @&#$ at verizon dont have anything better to do then create phones that only work in america the blackberry storm has been waiting to be launched for months and they cant even do that on time. verizon suckkkksss and everyone knows it . you mean att combined with cingular? Verizon is obviously doing something right to be one of the top cellular companies in the nation and have the highest stock value (check out nyse.com), and if you look at worldwide they are combined with Vodaphone, which is the largest cell phone company in the world with over 250 million customers (not that I expect you to keep up with that since you think AT&T and T-Mob merged...idiot). How are they a horrible company? Also Verizon is planning on adding 4 more phones to their global lineup pretty soon (Samsung u810 & i770, Novatel Global USB aircard, Moto Q9 Napolean). Don't forget they also have their Open Handset Development that is estimated to start the end of this year that will allow people to bring any CDMA handset to Verizon and start service with it as long as it had been certified. So how are they a horrible company again? 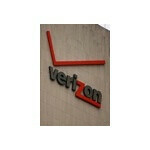 Verizon Wirless is a joint venture between Verizon Communications and Vodafone of europe. It is also a privately held company ( not publically traded on the stock market) VZ communications is traded so you have know way of knowing what they would trade. Exactly. Also isn't verizon switching to LTE or something? I'm pretty sure thats a worldwide thing. Uhh, you do realize that less than 10% of customers actually leave North America? And more than 8% of those 10% know that they are leaving the country often, and therefore have the option to choose a phone that will work overseas? That leaves a very small percentage of people. But if you ask me, I'd rather have Verizon's CDMA network. Seeing as it works where I live, and all over the USA. Something I can't say about ATT's droptastic GSM network. Do you not realize (probably not) why Verizon has to make specific phones global?..... Because they are a GSM carrier, which is the standard used throughout Europe and most the rest of the world due to their geographic areas. Verizon on the other hand is a CDMA carrier which is used for the majority in the US. So due to the fact the there are no CDMA carriers in "rest of the world", Verizon has to make phones that will work with both CDMA and GSM technologies. Take a look at the coverage maps comparing Verizon/Alltel (both CDMA) opposed to T-Moble/AT&T and you can clearly see and coverage differences based off of network technologies used.